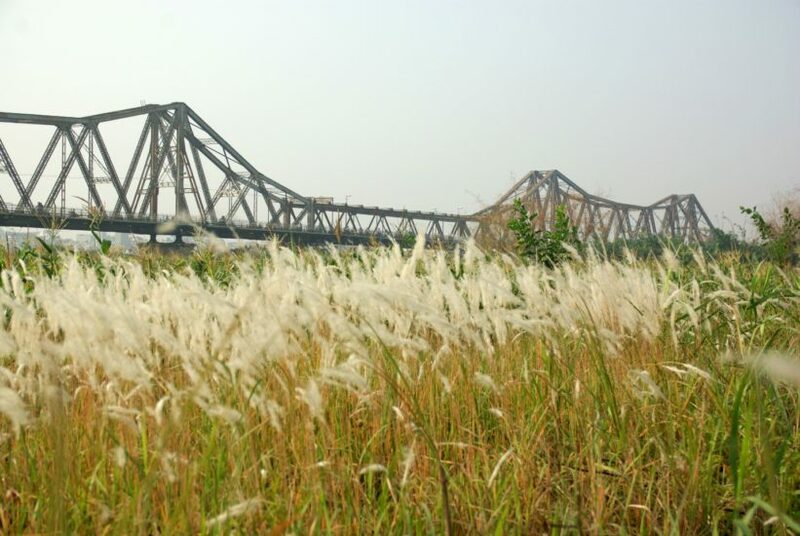 Long Bien Bridge was built right on the Red River Bank, so it is understandable that people have gathered there to exchange goods, especially farm’s products. Days by days, time by time, the market has grown bigger and bigger, and now, in 2017, it has been one of the most important markets of the capital. If the Dong Xuan Bridge is similar to Grand Bazaar of Istanbul, Victoria Market of Melbourne; the one under Long Bien Bridge is like a farm market but with big scale. The market is mostly used for whole sale and it is only open in the early morning. 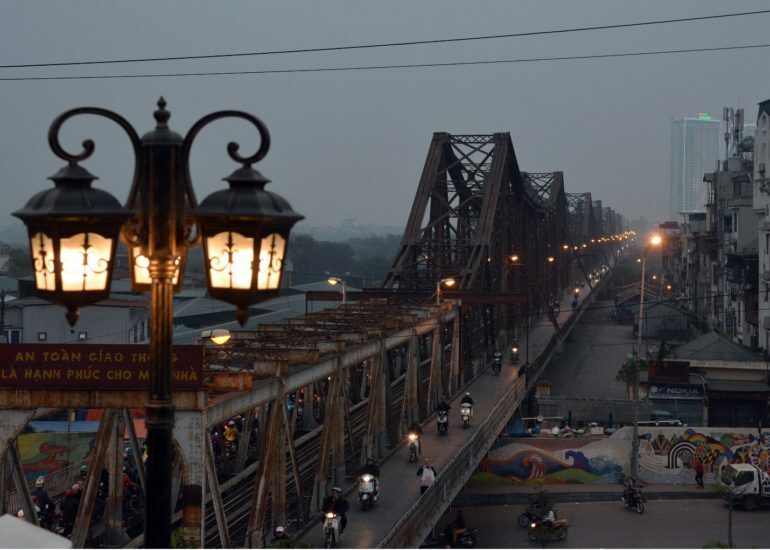 I still remember the day I decided to watch sunrise on Long Bien Bridge. On the way to enjoy a beautiful scenery, I was so happy to inhale the fresh and distinguishable smell of many herbs and vegetables in the market. It was so relieving and relaxing. So, many of my friends, who either visited Hanoi for the first time or the millionth, I always take them there to experience a part which is very Hanoi, nowhere has. The day will often take place at 4 am. We start off by riding to the flower market at Quang Ba, and then driving to Long Bien, just in time to watch the beautiful sunrise. 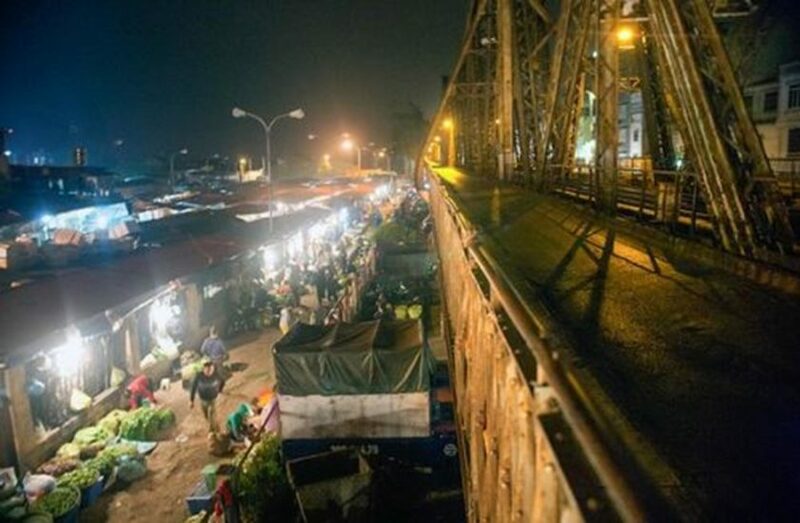 And when the light become strong and people start commuting to work, we, people having a day off will rush to the market, buy some fresh food. Because my friends are good at cooking, the kitchen will be their kingdoms, I take care of the dish washing. It is really fun and memorable. Sometimes, that is all I want for life. I do not know about others, but to me and my friends, the land appearing in the middle of the Red river always carries some mysteries. When I was a child, every time my mum drove me passing the land, I always wondered what was out there. My best friend even told me a ghost story about it, making all of us scared. Truthfully, when we grow up, we know that there are just some corn and banana crops there, we still find it very interesting. People who are used to live permanently in that land often have disadvantaged life. My mother calls it a poverty stricken land, but she said that people there are very good. When we graduated from high school, on the last day at school, we went to the land and harvested some corns in the farm. The owners charged us a little money but it was a lot of fun. It was the first time I picked the corn by myself, and like many city kids, I and my friends had some troubles in making the fire to grill the corns. But it was worth it. The taste was unforgettable. I hope you will also have unforgettable time in Hanoi, especially with the Long Bien and its stories..
You can find some more interesting tour information with: Indochina tours Vietnam. 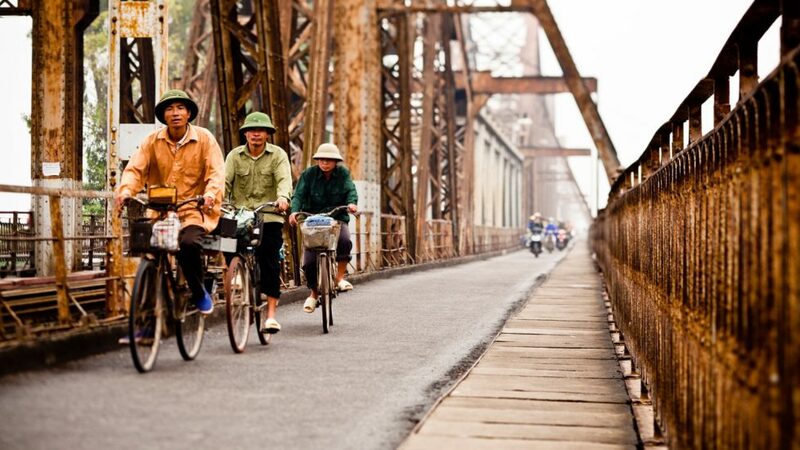 They provide many amazing tours which include the ones exploring the life next to Long Bien Bridge. 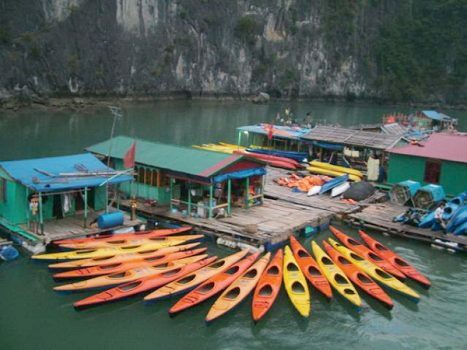 They also offer other tours in Indochina namely Laos and Cambodia. I hope it will be useful.